Remember Quinn XCII's name as you're going to be hearing it a lot in 2019. After the release of his debut album, The Story Of Us, in 2017 the Detroit born sing-songwriter is getting ready to make musical waves once again in his sophomore project, From Michigan With Love. 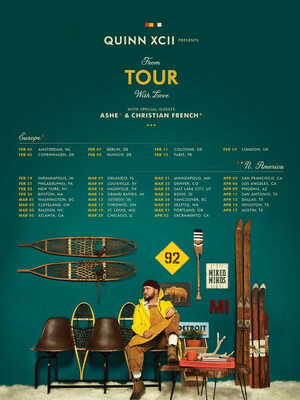 Heading out on a huge national tour this coming year, Quinn XCII is set to bring you a more personal flavor over his pop melodies. Quinn says that his second album will delve into more of his personal life. From Michigan With Love sees the artist open up with his struggles with anxiety as well as pushing his musical boundaries as he experiments with a range of musical styles. However, although the star may be developing his art this second album will still have the distinct Quinn XCII sound that his fans adore! Seen Quinn XCII? Loved it? Hated it? Sound good to you? 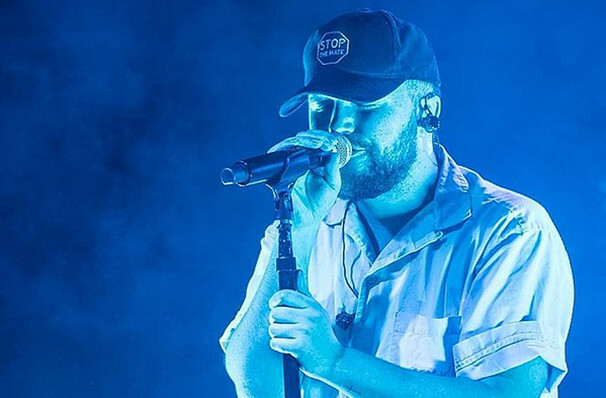 Share this page on social media and let your friends know about Quinn XCII at Nob Hill Masonic Center. Please note: The term Nob Hill Masonic Center and/or Quinn XCII as well as all associated graphics, logos, and/or other trademarks, tradenames or copyrights are the property of the Nob Hill Masonic Center and/or Quinn XCII and are used herein for factual descriptive purposes only. We are in no way associated with or authorized by the Nob Hill Masonic Center and/or Quinn XCII and neither that entity nor any of its affiliates have licensed or endorsed us to sell tickets, goods and or services in conjunction with their events.